Your host will arrange your accommodation and send you details. 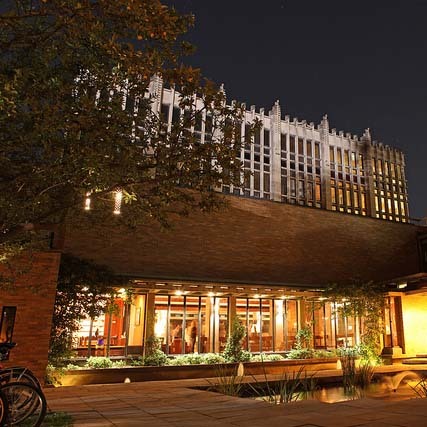 Massey College was designed by Canadian architect Ron Thom and is an example of among the most beautiful and fully realized architecture in Canada. 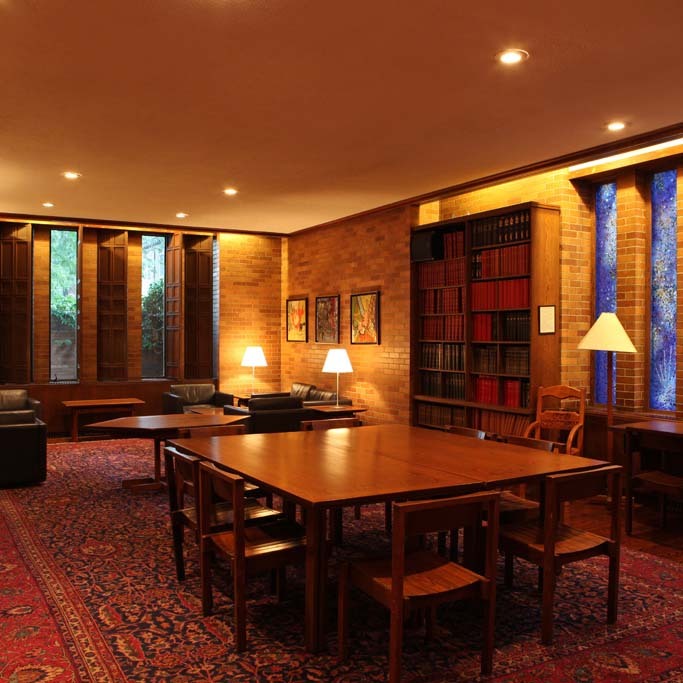 Massey celebrated its 50th anniversary, and welcomed a new Master, Mr. Hugh Segal, C.M. in 2014. CITA rooms are grouped in a block with a common bathroom. Towels and bed linen are provided. The rooms are not air-conditioned and can be quite warm in the summer. Soap is not provided. There is a laundry room with ironing board and iron, coin operated washer and dryer all located in the west basement. There is a telephone (local calls only) in the cloakroom outside the washrooms on the main floor opposite the Common Room. Smoking is only permitted outdoors. 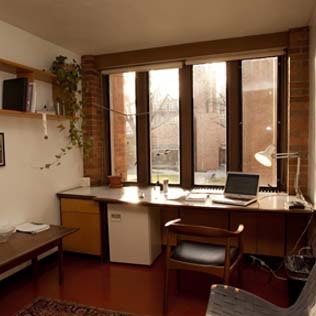 Changes to dates should not be made at the last minute unless absolutely necessary, as our use of the rooms in Massey College depends on making sure that arrangements are not changed constantly. This is not quite a hotel or a bed and breakfast; the rooms have fewer amenities. These are purchased at the Porter’s Lodge at the entrance to the College, by Visa, Mastercard or Debit. NO CASH or CHEQUES please. The chit will be collected by your server in the dining room. Breakfast is included with your stay. Vegetarian dinners are provided with advance notice. Ask the Porter about making arrangements. Reservations are required for dinner and meal tickets can be purchased at the Porter’s Lodge. Dinner 6:30pm sharp (Monday-Friday); 5:15pm – 6:00pm (Saturday). There is no dinner service May – September.